The Pra Ruang Yern Sukhothai Pim Yern is one of the rarest models of the pantheon of amulets found in the Kru Wat Tap Khaw Sukhothai amulet find, this exhibit being the Pim Yern Sukhothai, which was one of various different Pim Pra Ruang type amulets found in the Kru Tap Khaw find, such as the Pra Ruang Nang seated Buddha in Lopburi Era style, and the Pra Ruang Rang Pern. The clay of this exhibit is 'Nuea Graeng' (stone hard), with very rugged and highly defined features. 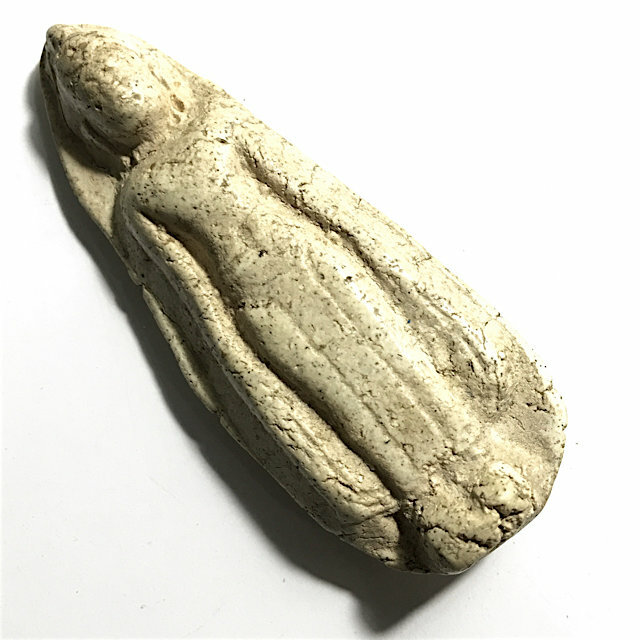 The surface texture is well refined and the classic aspects of a true Pra Niyom Master Class amulet of the Pra Kru Hiding Place Amulet Category. The Pra Pim Pra Ruang model was found in various different forms, the Pra Ruang Yern, Pra Ruang Nang, and Pra Ruang Lila. 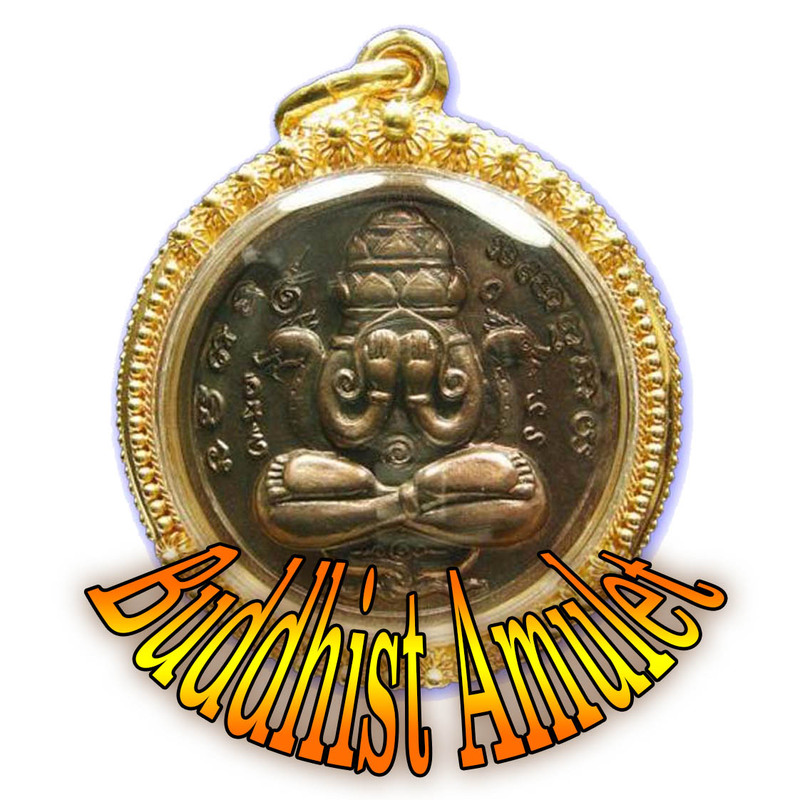 The Pra Ruang amulet is a Buddha Image of the Sukhothai and Lopburi Eras and was popular with Warriors and Government Officials of the Time, as well as being a populer amulet with the 'Nak leng' (Gangsters) of Thai History, as an Invincibility, Protection and Evasion Amulet. It is the Pra Ruang Family who were the first and only rulers of the Sukhothai Kingdom Era of Thai History. King Pra Ruang was the father of Por Khun Ramkamhaeng, who invented the written Thai Language, and is revered as a Deity in his own right by Thai People. The Pra Ruang is however also seen as the Vairocana Buddha, and one can consider by logic, that only the Pra Ruang Sukhothai could have any possible direct relationship to the Pra Ruang Family Lineage, but not the Pra Ruang Lopburi. 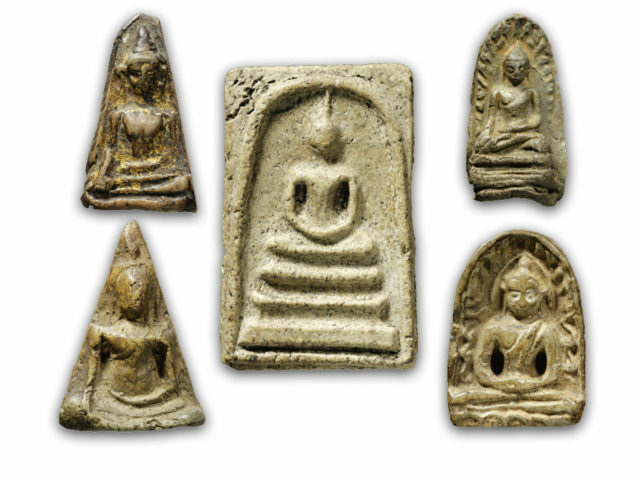 The amulets of the Kru Wat Tap Khaw Hiding Place Find, are themselves are older than even the Pra Somdej of Somdej Pra Puttajarn (Dto) Prohmrangsri, of Wat Rakang Kositaram (first two of three consecutive finds/batches), and are reference study amulets for students of the lineage of amulets of Somdej Pra Puttajarn (Dto) Prohmrangsri and Ajarn Saeng.